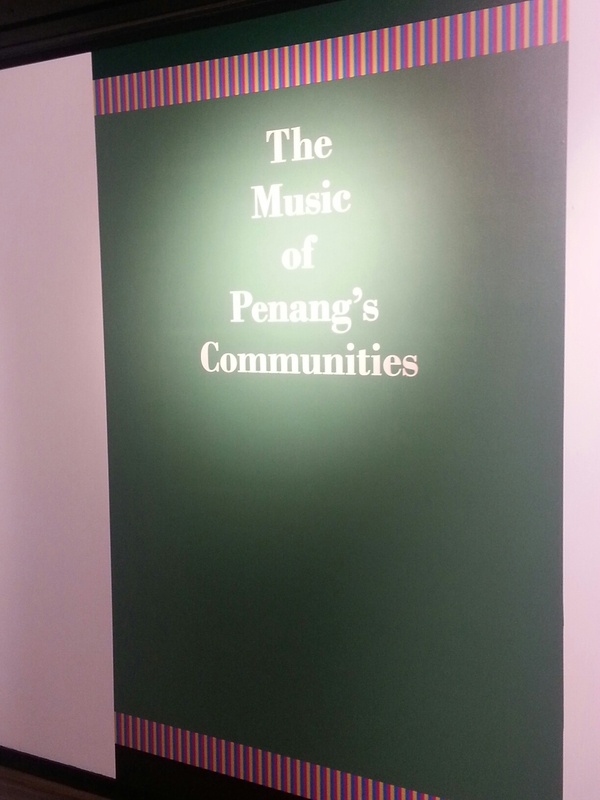 Last November 21, Penang just opened its own museum of music called the Penang House of Music and it was awesome. Located at Level 4 via the escalator at the ICT on Level 3, it took a bit of directions as we entered via the Komtar. 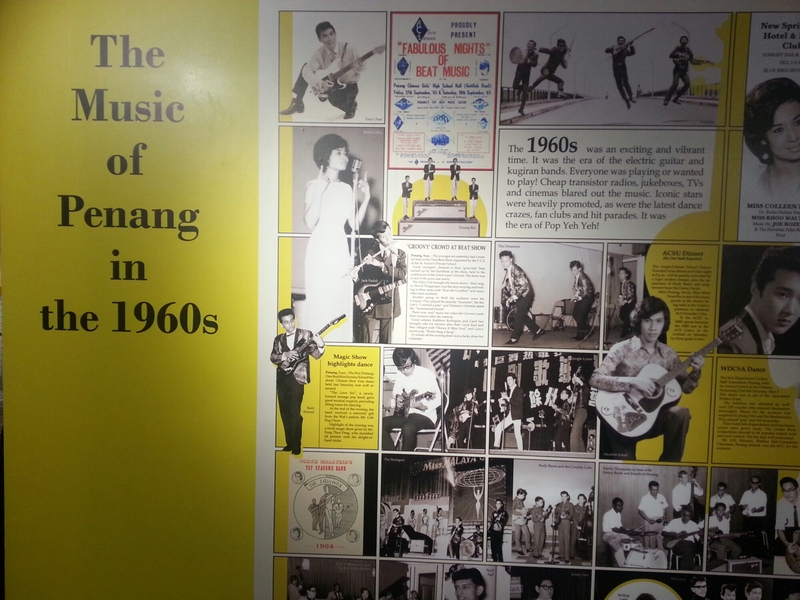 While the more traditional music cultures such as the boria were represented, the center of the museum is Penang’s vibrant pop music in the past decades. 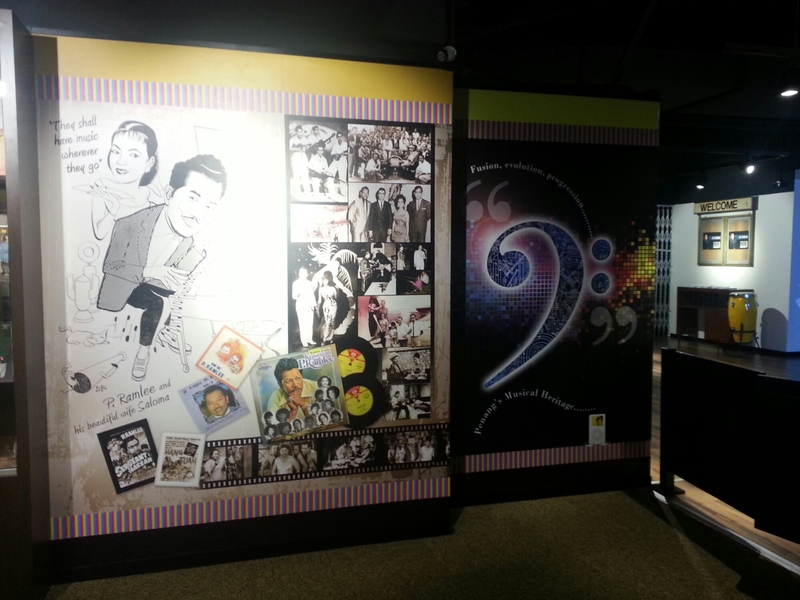 More than just housing displays, there are information boards with good graphics that provided visitors interesting music history tidbits. 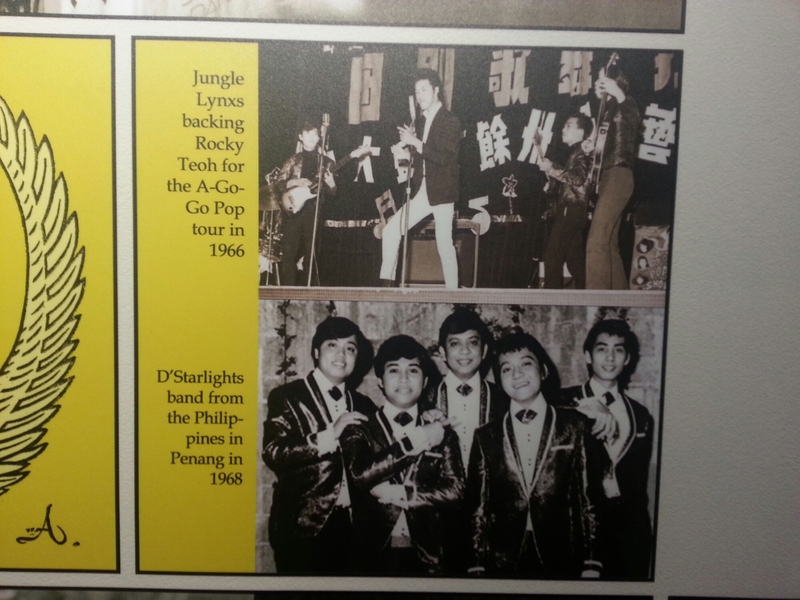 Do you know that a Filipino band was playing in Penang’s clubs in the 60s? 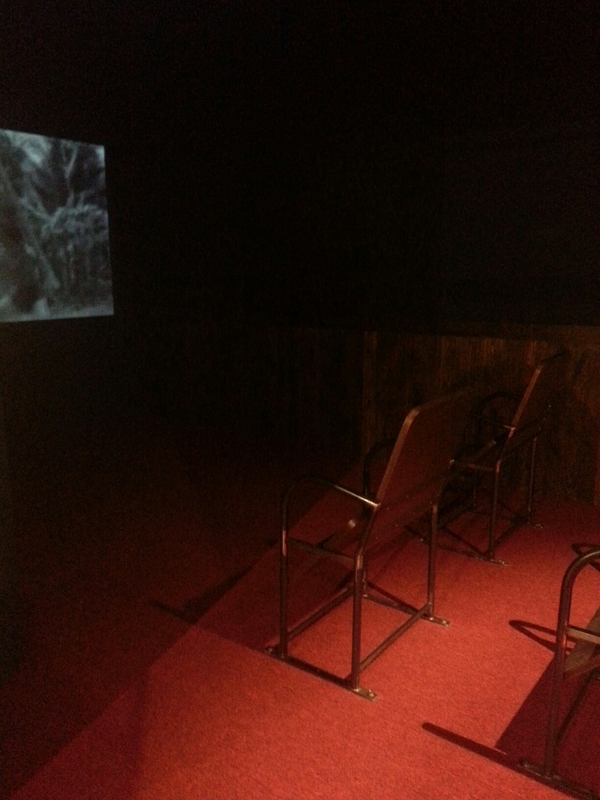 There are facilities that help visitors engage with the exhibits such as a mini cinema, a listening booth, a VR room, and even a radio booth. 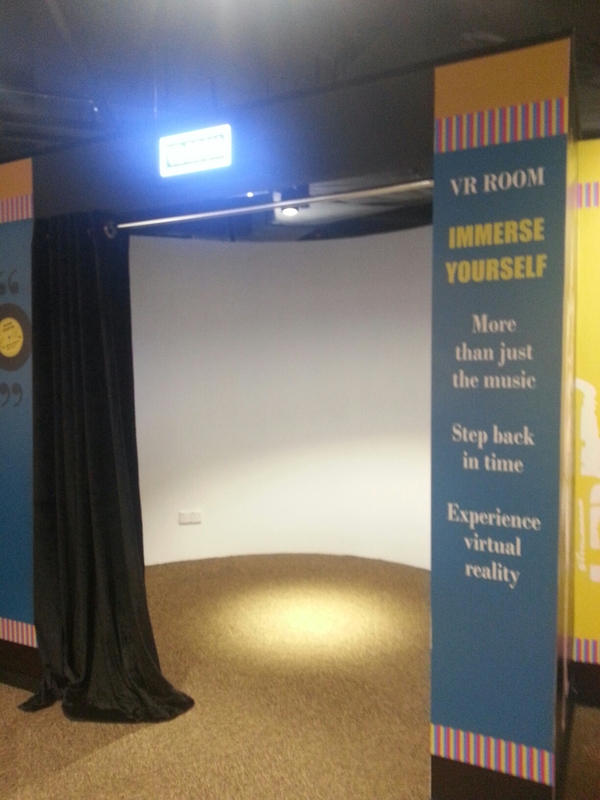 VR room where you can watch someone sing while seeing informative graphics. 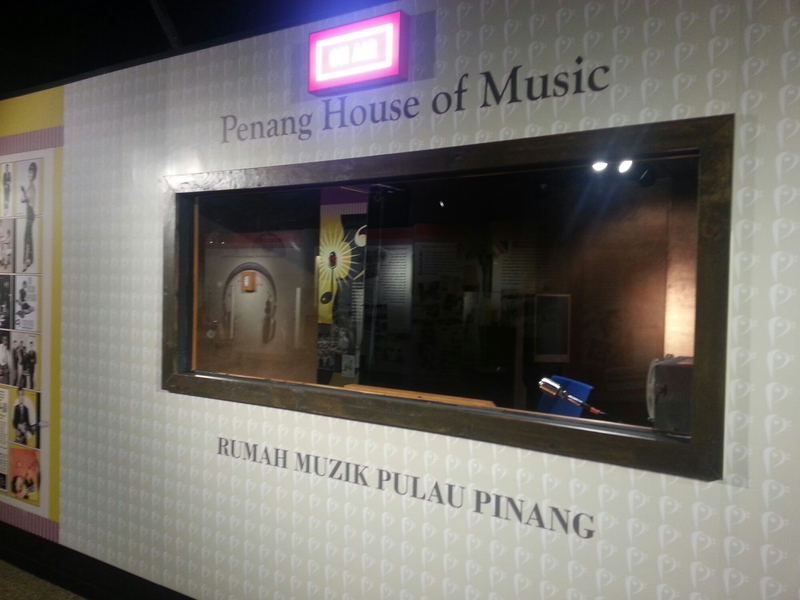 Discover Penang’s radio history and even try becoming a radio announcer. 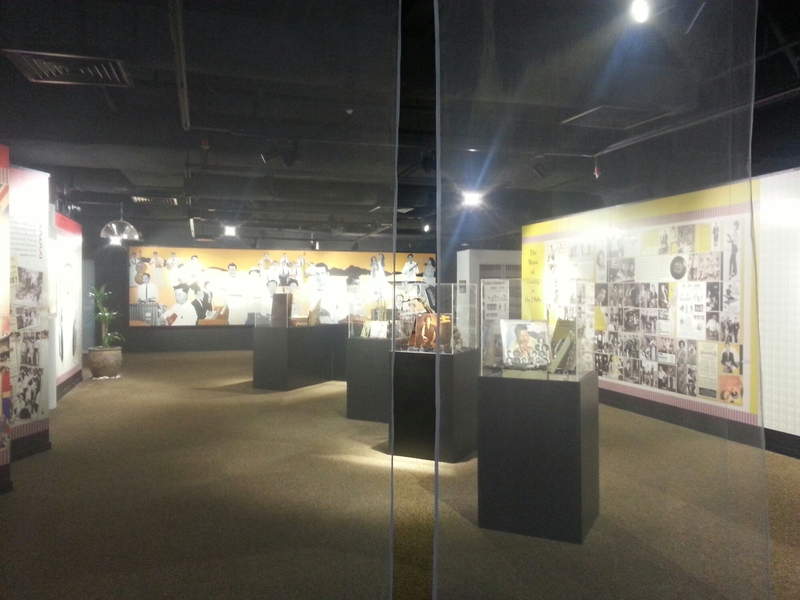 The museum is really spacious and laid out really well. More importantly, there is a resource center open to everyone who wants to do research. It’s not even 6.30 am and our train doesn’t depart until 7.45. We left the hotel and arrived at the train station too early. When we were booking our van, the lady at the counter suggested we leave at 5.30. The guys at the hotel suggested 6am. I knew it could be traffic outside Georgetown as I remember taking 30 minutes by car from Hotel Mingood to the Sungai Emas bus station when we were last here in June but that was the middle of the day. It took us just 15 mins. No traffic at all. Anyway, nothing to do except wait. 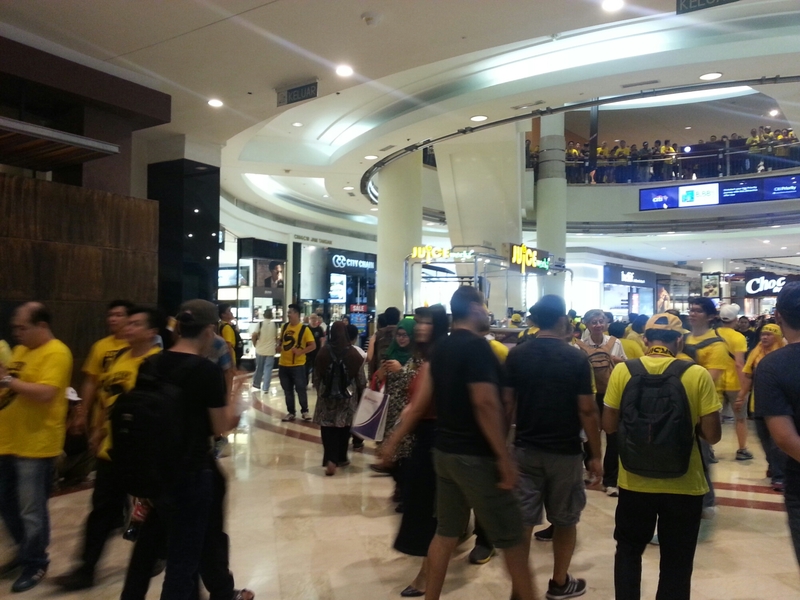 The lobby had people when we arrived but they’re all on the 6.30am train to KL Sentral now. We booked our van (RM 223) at the tour desk by the entrance of Cititel Premier. Normal price is RM 179 but bookings before 7am have a surcharge. 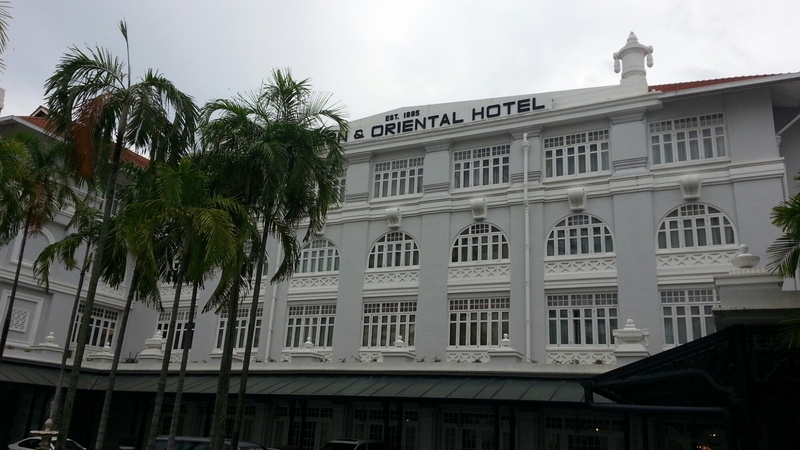 Hotel Mimgood quoted us RM 210 while Oceanjet RM 180. Unfortunately, we had booked and paid already. If you booked your ticket online, you can just save it on your phone and show it to the ticket inspector on board the train. Nobodu checks at the gate even when we departed from KL Sentral. 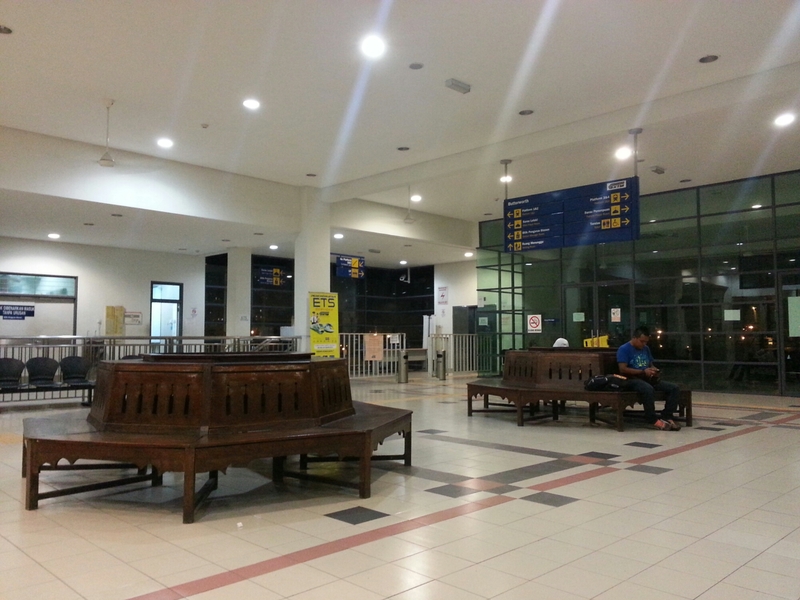 Here at Butterworth, just to be sure, I showed my e-ticket at the counter and the lady printed out the tickets. After the High Tea experience at the 1885 yestrday, we continued our civilized streak and had the buffet dinner at Sarkies at the Eastern Oriental Hotel. Arrived promptly at 7:30pm and was ushered to a table by the door. The place wasn’t full and the staff could have placed us at a better spot. Who wants to be seated right in front of the door? Besides, there were already 3 goblets of water there. I’m guessing someone was previously ushered there but then changed spits. We asked to be seated elsewhere. Unfortunately, the staff also brought the water goblets. We had to ask for new goblets. Lazy staff. The restaurant is at the E&O’s new wing but it was fitted-out like it was in the old days—tiled floors, marble-top and wooden tables, and wicker chairs. It was quite warm, though. Maybe it was part of the old world charm? Food was quite good but limited. Nothing to go wow over with, though. At least I had my fill of grilled lamb chops and roasted duck. The dessert station was better—lemon tarts, raspberry panna cotta, and red velvet pudding. I skipped the cendol. I’m over and done with local food. 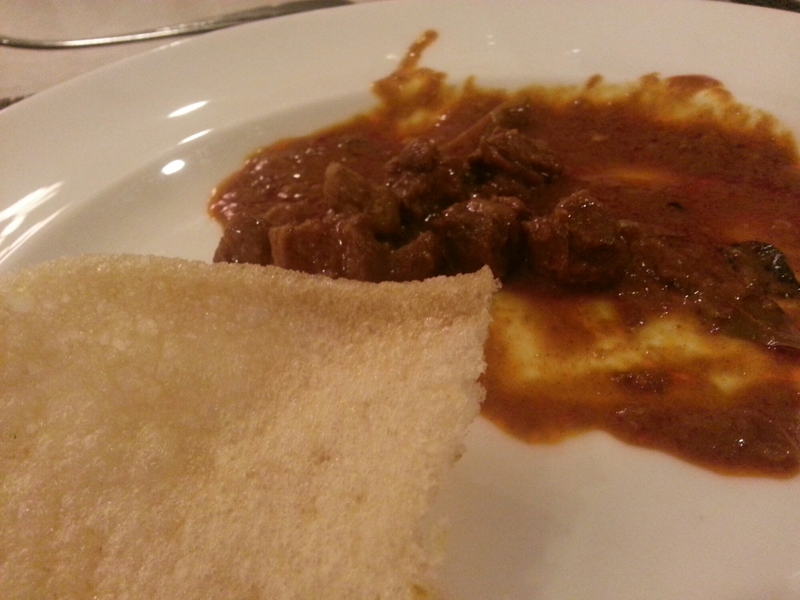 I did try the lamb curry though which was good especially when paired with prawn crackers. Rating? Just so-so. 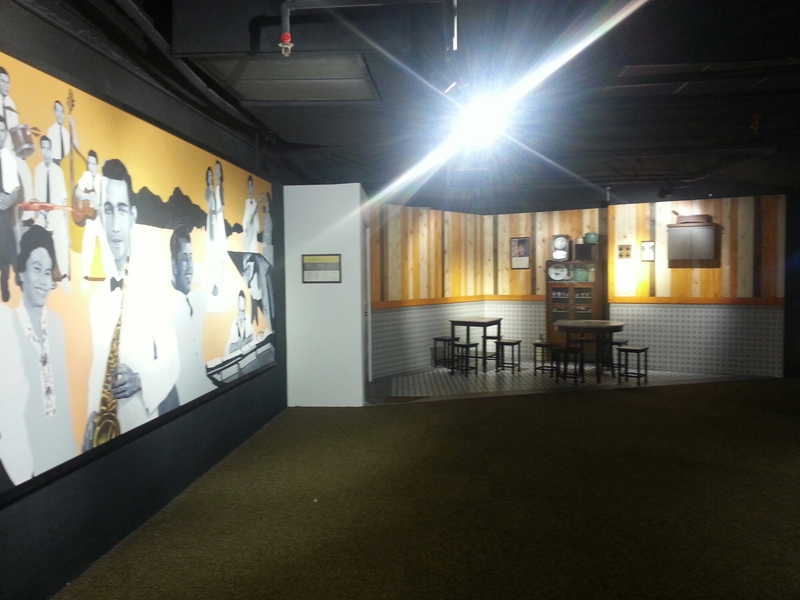 It was more for the experience of dining at the E&O more than anything. Cost was at RM 114 but paying with my Citibank card gave us a 15% discount while my aunt was given a 50% senior citizen discount. Can’t argue with that. So we ditched the plastic plates, cheap cutlery, and fan-cooled eateries and headed to the legendary Eastern & Oriental hotel for some civilization and English tradition. 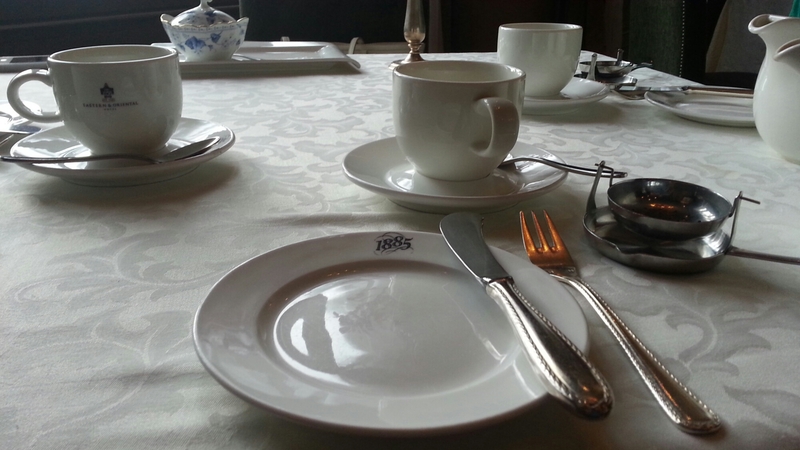 At the 1885, we waited a few minutes at the reception while they assigned us a table. 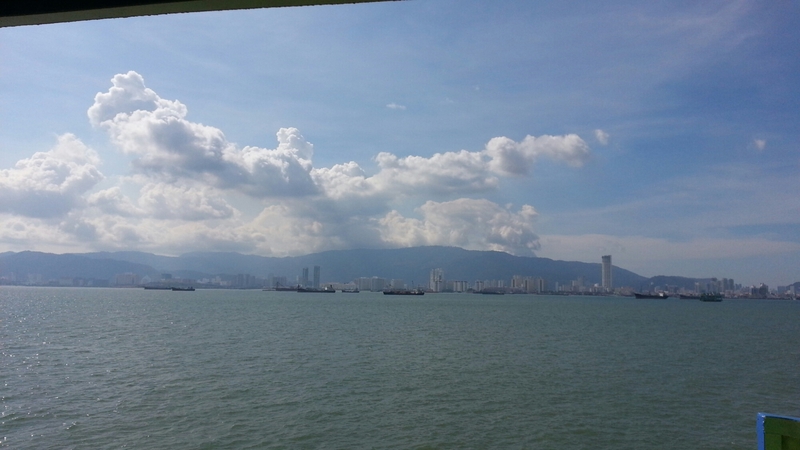 We were ushered to a table at the corner which had a view of the promenade overlooking the Penang Straits. 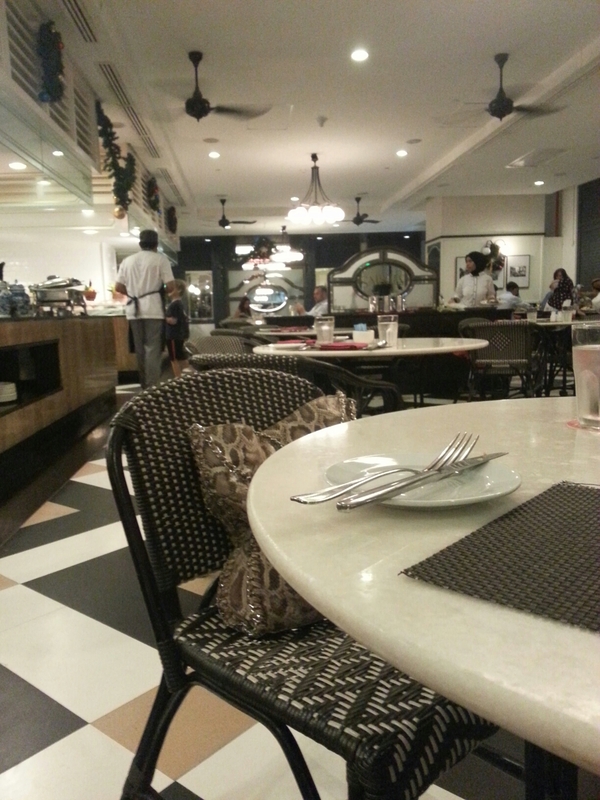 Apparently, those with reservations are seated in the inner area of the restaurant. We were handed menus from which we were to select our tea of choice. Mine was Montegau which was described as fruity. There were others that I have never heard of such as Irish Whisky Cream. Faster than you can put on an English accent and say “Queen Victoria,” the teas soon arrived served in large pots. Seemed too big for a such a dainty set-up. I read in another review that the tea used to be free-flowing. Perhaps, the large pots which was good for about 4 cups was meant as an adequate replacement. The assortment of sandwhiches and breads was plentiful. We each had 2 scones each. Dessert featured cheesecakes, fig bars, and a delicious panna cotta topped with a chocolate sauce that was heavenly. 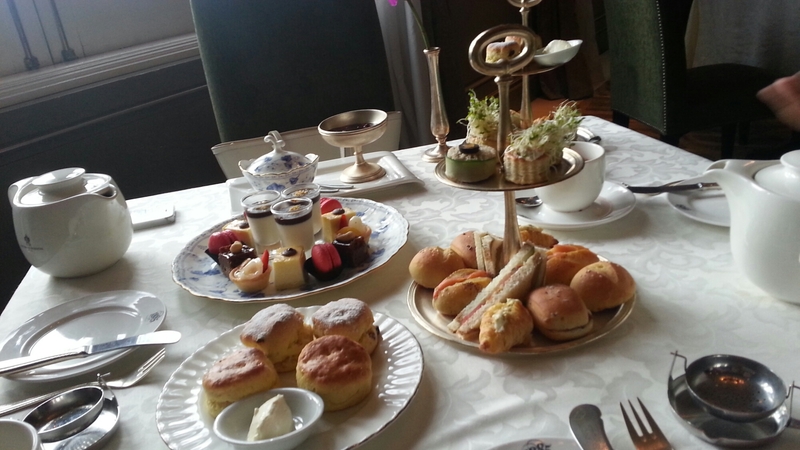 The food was good except that instead of clotted cream, whipped cream was served with the scones. The strawberry jam was good, though. Not too sweet and with just the right amount of tartness. 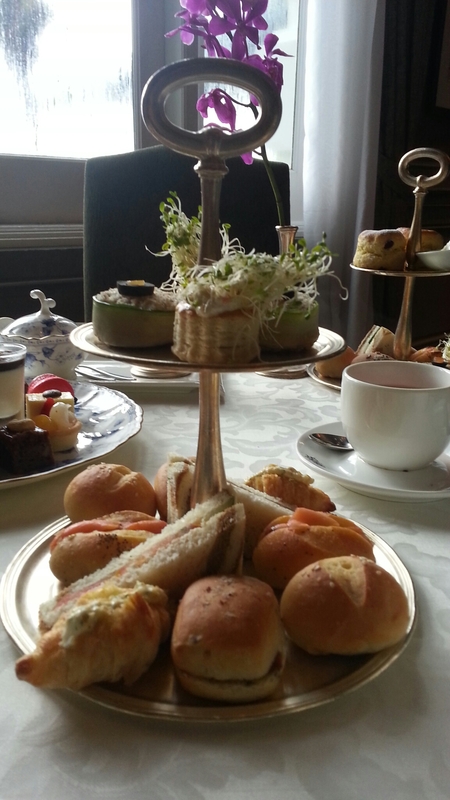 We really enjoyed the High Tea experience here. Unlike the one at the Peninsula Hongkong, there were no long lines and we were seated at a proper dining room and not at the hotel lobby which made for a grander experience. It’s just sad that some came in shorts totally ignoring the smart casual attire protocol of the dining room. High Tea is not just the tea and the nibbles. It’s all about tradition and protocol and I think dressing-up a bit for it is like giving it the due recognition it deserves. 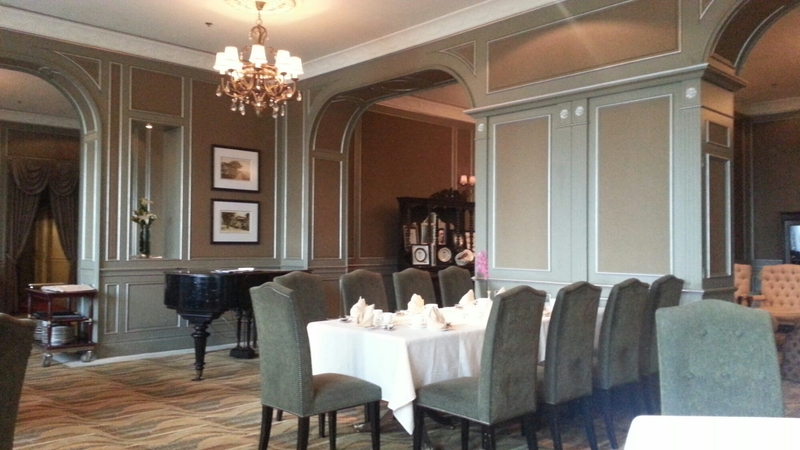 Besides, the 1885 looks seriously formal with its interiors, white table cloths, and suited staff. 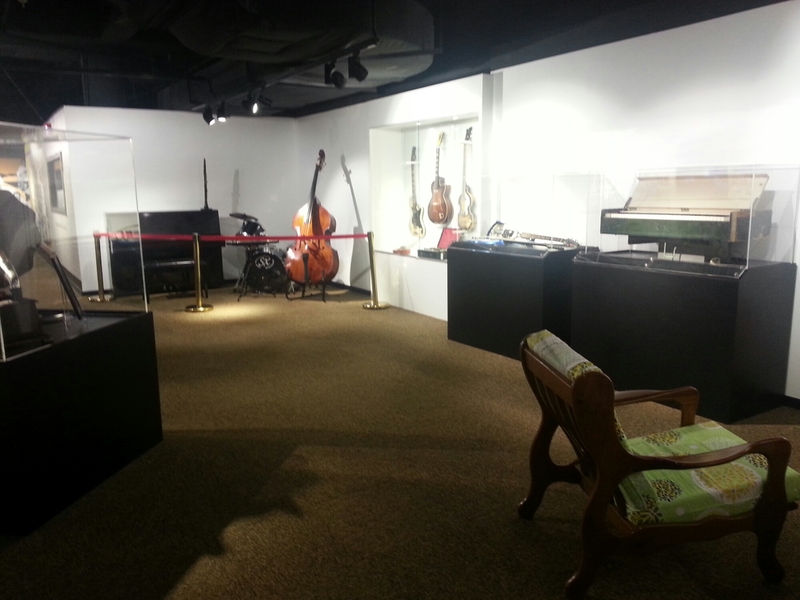 The entire experience costs RM 63 and was totally worth it. So I’m back in this wonderful place after a few months since the ICTM-PASEA Symposium. 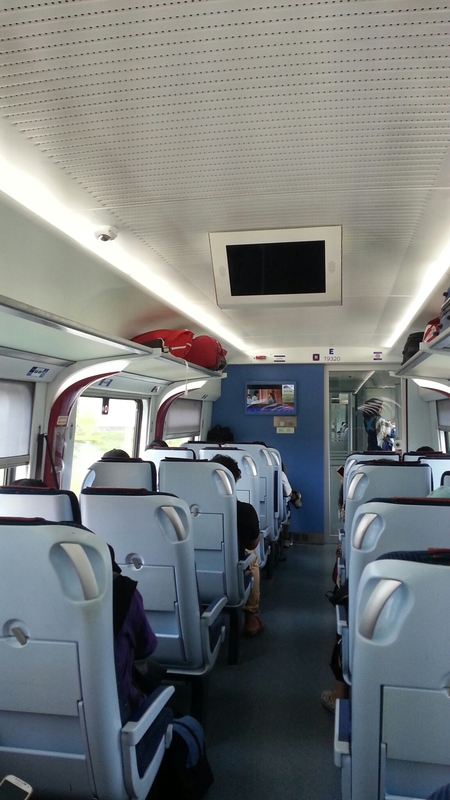 Electric train from Tanjung Malim, ferry from Butterworth, CAT from port to Hotel Mingood. All is good. Hahaha. The Chinese proprietor still remembers me. After all, we stayed 7 nights at his hotel. Just dropped our bags, grabbed some pau at the Chinese kedai near Nasi Kandar Linear then headed to Sam’s Batik (the one on the right) for some shopping. Got some nice shirts as always. Love this place. Excellent service and friendly prices. Took a Grab car to Ivy’s Kitchen but it was closed. 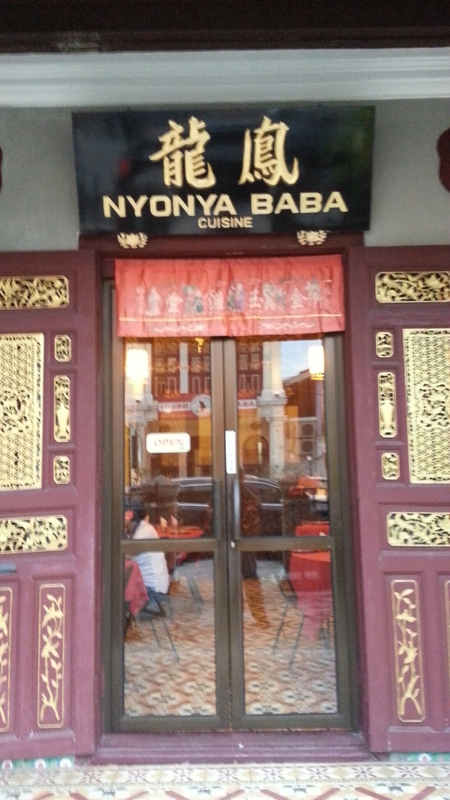 Went to Nonya Baba Cuisine at Nagore Square instead. Food is still good and service friendly. We were surprised though that the water and nuts were charged. Sneaky. Had some cake at the corner cake shop with a fancy name. Cakes were bad. Good to be back here. We arrived in Tanjung Malim in Perak by the electric train from KL Sentral last Monday and departed from it to Butterworth by train too. Booked the tickets online and printed them out. No need to go to the counter to get tickets as you get an e-ticket not just a voucher that needs to be exchanged. 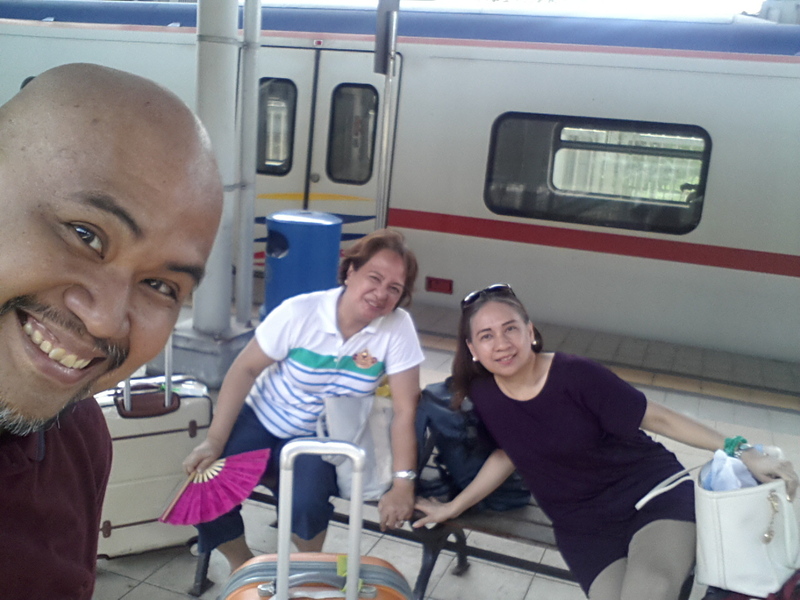 Here we are waiting for the train at the Tanjung Malim station. The train arrive promptly on time and we got on coach E.
Unlike the 9304 which brought us to Tanjung Malim, the 9236 had tables. Maybe because it was on a longer route. 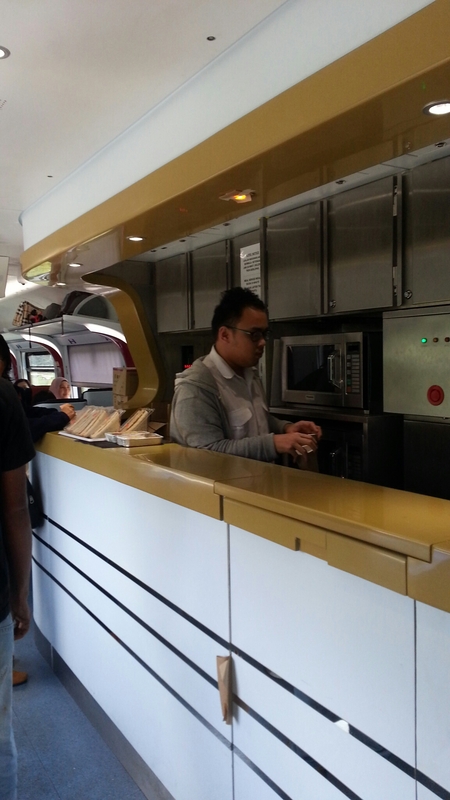 There was a food counter at coach C.
There were also modern and clean toilets. There was space for luggages at the end of each coach. There was even a mountain bike at coach D.
The trip took less than 3 hours. Totally pleasant. What is it with leaving that makes you suddenly fond of a place you initially didn’t care about? After spending four days in this quiet university town, I’ve gotten used to the empty streets and forlorn blocks. I’m gonna miss our home for the past four days. If it’s any indication of how safe the town is, in the late afternoon, the young man on the reception goes home and an older man comes in late at night. In between, there is a sheet of paper asking guests to contact the numbers written. Then there is Fatin, our heaven-sent driver. Yesterday, on our way back to the hotel after the conference (where I was the last presenter), the shuttle bus had been gone by then so the student staff called for a taxi. It turned-out to be Fatin, an UPSI music graduate who drives her own car. It’s the local version of Grab. Armed with her number, we got more adventurous as we now had someone to call for transport. We headed to Secret Recipe for lunch to celebrate my well-received presentation. We simply called Fatin again to come pick us up and bring us back to the hotel. This morning, she was promptly at our hotel by 11 to bring us to the train station. 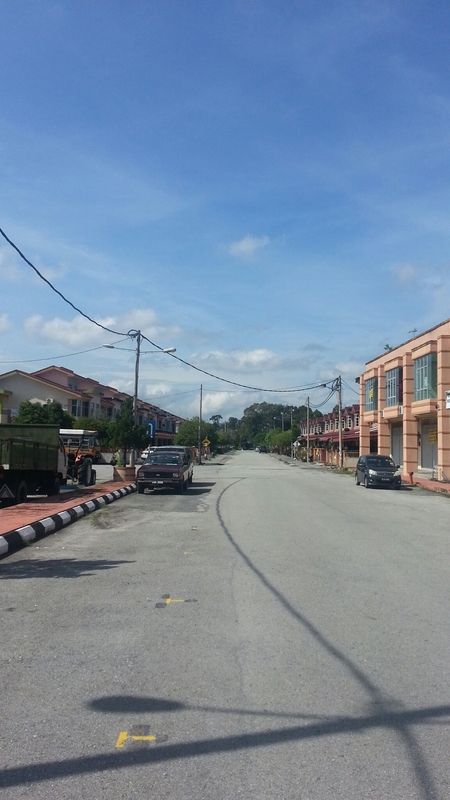 Goodbye, Tanjung Malim. I shall see you again in 2018 for the 3rd IMPAC conference. 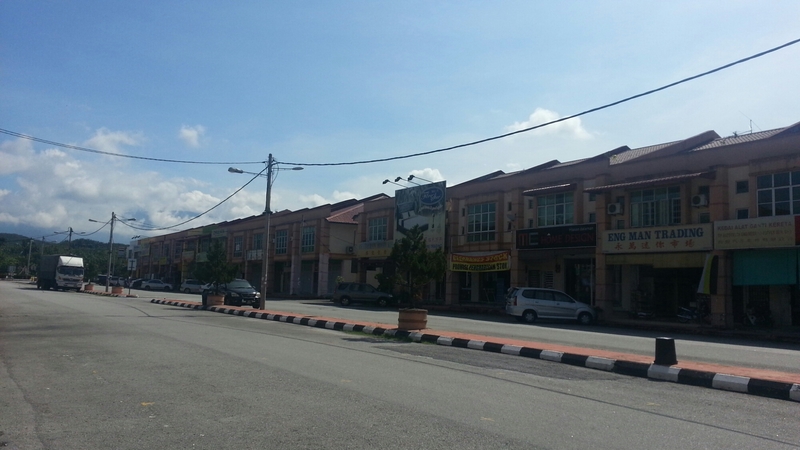 Disembarking at the station in Tanjung Malim feels like arriving in the middle of nowhere. There was hardly anyone in the station. We had taken the electric train from KL Sentral and in a little over an hour had arrived here. First order of business of course was the toilet. That after lugging our luggages up a flight of stairs from the platform and down to the lobby. 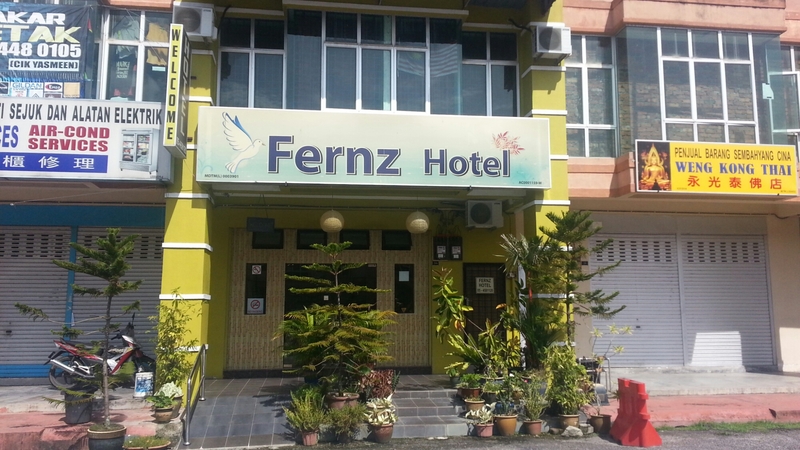 One of two waiting cabs took us to Fernz Hotel about 2km away for RM10. Nope, there’s no Grab here. The town’s smallness was further magnified by the small commercial strip where our small hotel was located. After checking-in, we inquired at the laundry shop (2.50/kg) then had early dinner at a restaurant run by a Thai Muslim family. Food was good albeit quite expensive for what we had (RM60 for 2 cups of rice, a plate of fried rice, an order of kailan, an entite sweet-sour fish, and 2 ABCs). Will be here for the next 3 days for the conference at the Universiti Pendidikan Sultan Idris. Nope, not the US bus company but the sleek cafe in Bangkok. 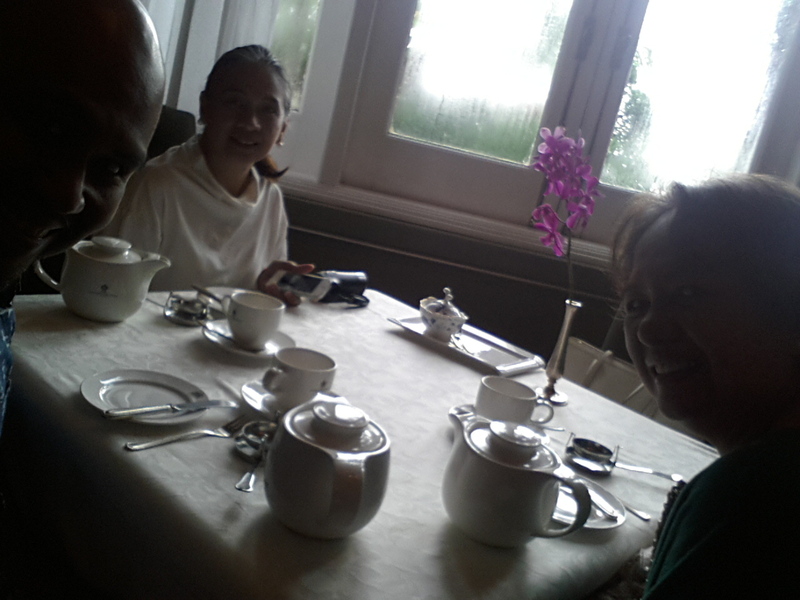 We decided to have brunch there before leaving KL and train it to Tanjung Malim. 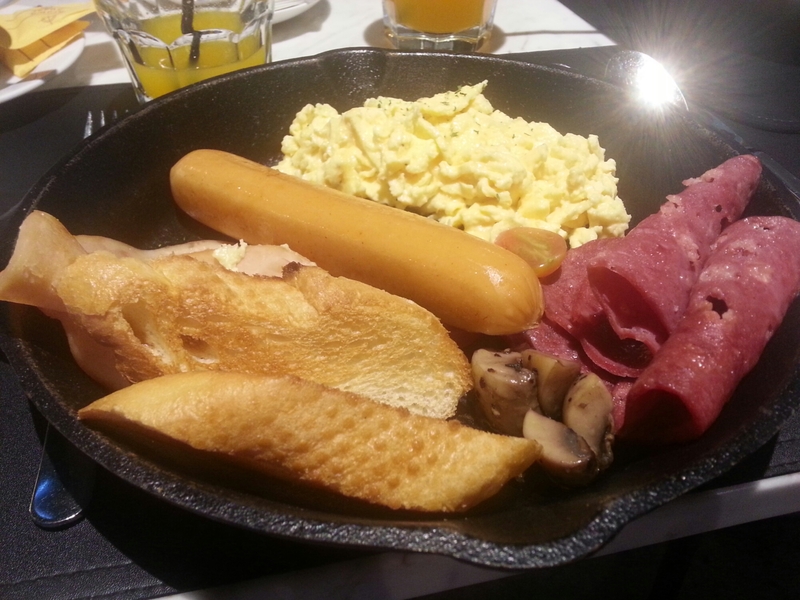 Ordered a Full English Breakfast while Rhoda had Eggs Benedict and Tita Cel had Corned Beef Hash. Unfortunately, the sleekness ended with the cool interiors. My food was quite cold. Turkey ham was dry and scrambled eggs not fluffy. Tita Cel’s corned beef was much better. Rhoda’s order came 20 minutes late as her food was given to another table. Shah, the Tagalog-speaking Sabahan who was our service staff was apologetic. The only saving grace really were the friendly and cheerful staff, four of whom were Filipinos. 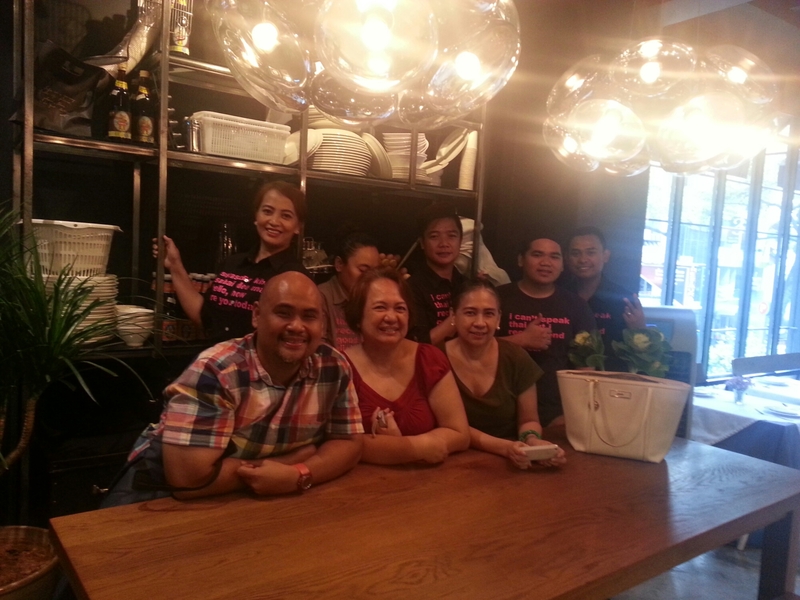 On our way out, Jonie, the lone Filipina, invited us to have our pics taken at the big table near the front door. The other staff also joined. They were all very cheerful and the manager ddidn’t seem to mind. When I got the notification at the Grab carc app warning about road closures, I thought it was due to road repairs. Nope, as told to us by our Grab driver, it was an anti-government protest calling for clean elections. What was supposed to be a short 2km trip from our hotel at Bukit Bintang to the National Museum turned out to be circuitous. O our trip to the Craft complex from the museum, the Grab driver wasn’t too confident about being able to drop us off directly at the complex. Fortunately, the ride Without a hitch. It was the third ride; from the craft complex to KLCC where things got a little more interesting. 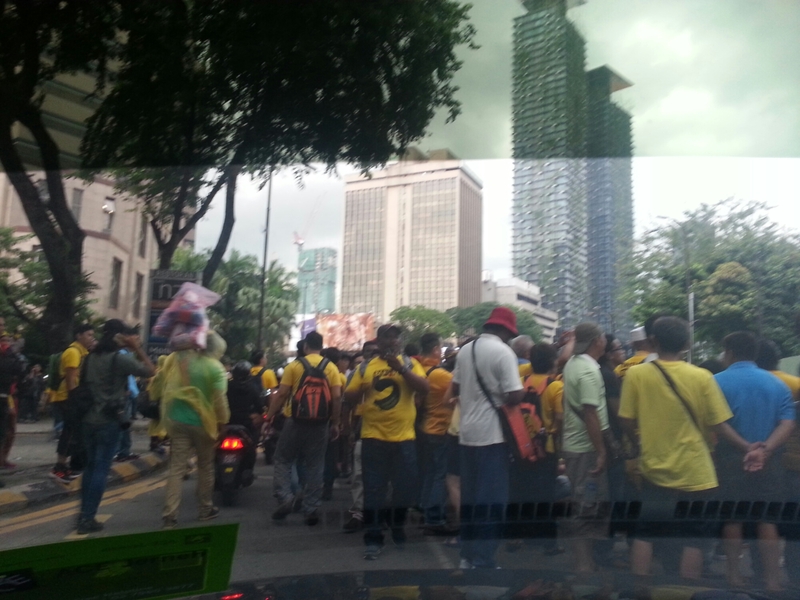 We didn’t know that the protests were by the KLCC and even if it was winding down, people were still there. So we literally got caught in the thick of the action. Here’s a shot from the car. It was all very orderly though and people gave way to the car. It remimded me of the scene at “M Butterfly” where Jeremy Irons makes his way along the streets filled with protesters. This one was of course infintely more peaceful. 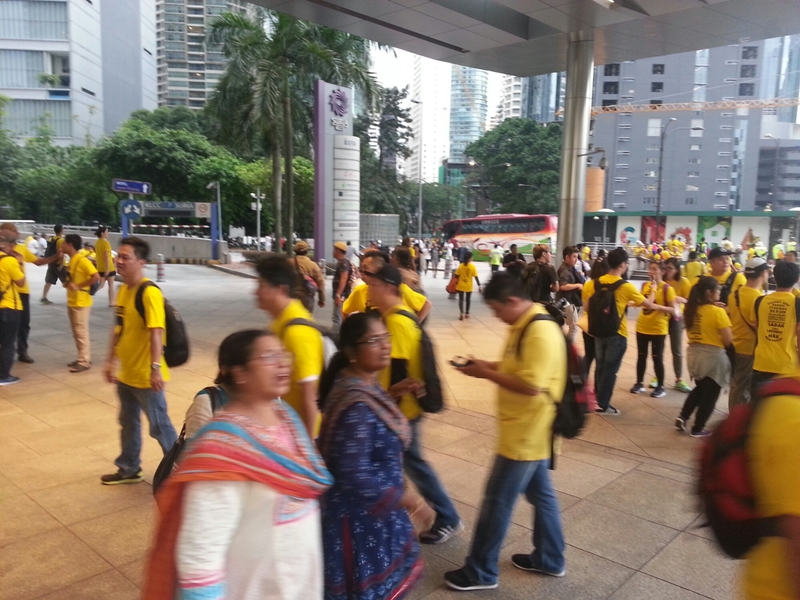 When we arrived at the KLCC, it was filled with people all in the yellow “bersih” t-shirts. Many of the protesters seemed to be coming from the middle classes based on how they looked plus the food outlets at the KLCC are not exactly cheap. 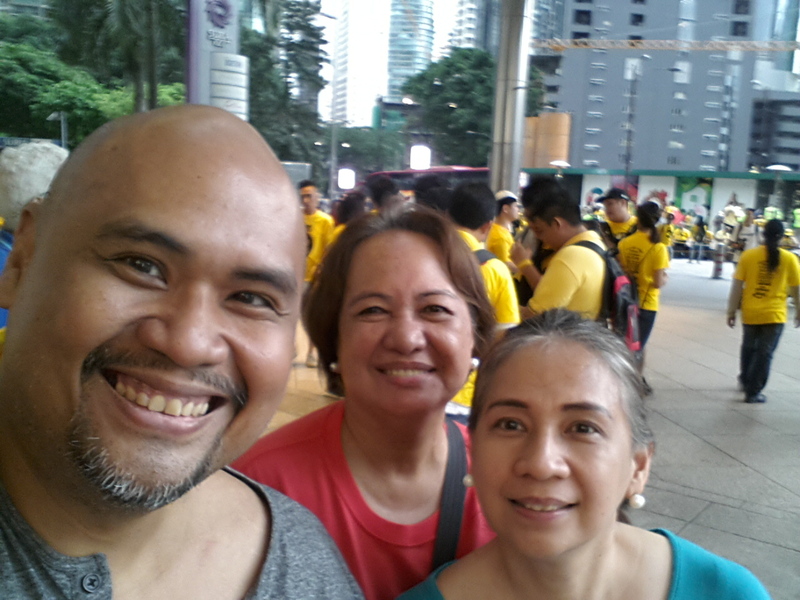 It was just like EDSA 2 back home in Manila where the massive protests were at the Our Lady of EDSA shrine and everyone would troop to the mall after food court at the 2nd level was packed. The plan was to just spend the rest of the late afternoon at KLCC, have dinner, then take pics of the Petronas towers all beautifully lit at night. Unfortunately, this was not going to be.More protesters were going inside the mall as it had started to rain. There were occassional eruptions of cheers. The mall management and the shop keepers seemed to take everything in stride. We just decided to head to the exit fronting the monorail. After buying some “kuih” at the Nonya store and some mocha roti at Roti Boy (darned! They ran out of buttermilk roti), we headed to the exit. I heard a Chinese guy saying the station was closed. Got confirmation from the mall guard. Realizing we were tourists, he told us on the side that perhaps once all the people in yellow leaves, the station would open. Since everyone would be stuck in the mall, we decided to just head to another exit where we could just try to get a Grab car. Navigated our way out of the throngs of people and out to the exit near Isetan. The roads were open already and cars were arriving to fetch people. We managed to book a Grab car who brought us to Pavilion mall at Bukit Bintang for dinner at Dragon -i. Such an interesting day experiencing a small facet of Malaysian social action.